How Can I Go Comic Logic Books & Artwork? Where is Comic Logic Books & Artwork in Ashburn on the Map? This location has 13 reviews from customers. Great and friendly staff. Amazing selection of newer comics, but also a large selection of recent back issues too. Lots of variants and a big selection for little kids in the front which has books for kids and toys. CL has a nice lounge too that you can hang out in and read the comics you just got. Overall, a great store with great owners and kid/pet friendly. Cant go wrong. so glad Comic Logic came to Ashburn. Check out Ashburn Pub too while you are right around the corner! 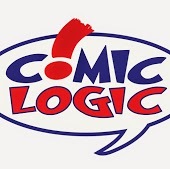 When you enter the doors at Comic Logic you will be assisted by a courteous and knowledgeable staff who are passionate about the books they sell. You can buy comics anywhere,but why would you want to When they have hundreds of choices in comics and figures, great prices and are locally owned? They helped my 6 year old son pick out a comic that was age appropriate as well. Great store! Comic Logic has super friendly, knowledgeable staff who will go out of their way to make sure that you end up with what you need. They are patient with indecisive children, and are happy to order items for you if they don't have them. I don't think anyone in my family has ever given them a comic book/graphic novel problem or question that they couldn't solve. They also offer gift certificates and have amazing special events. If you are a Sci Fi, comic or action hero nerd this is the place for you. I've been all around the country and this store is the best bar none. Matter of fact I had the pleasure of meeting Darth nihilus and the gamorian guard at the grand opening. Awesome!!!!! I've never been to a better comic shop. Comic Logic and Artwork has the most courteous, knowledgeable staff I have ever encountered. The atmosphere is relaxing and the art on the walls is nothing short of eye-popping. This place is a must go for all lovers of comics and comic book art.